We're only a week away from Tết, the Asian New Year. And of course, food is what makes the festivities so much fun. 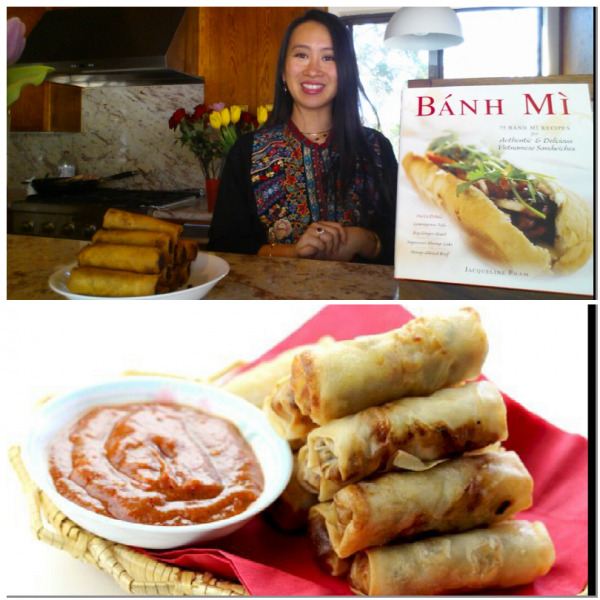 Eggrolls (chả giò) are Maman's must-have dish for the celebration. My favorite version is chicken eggrolls. I usually use dark meat (chicken thighs and legs), which make the dish more moist and flavorful. I also mix in fried jicama and carrots for added crunch. Preparing them isn't that complicated; they're labor-intensive, but if you have a large crew of little helpers as I do, rolling them is a piece of cake. 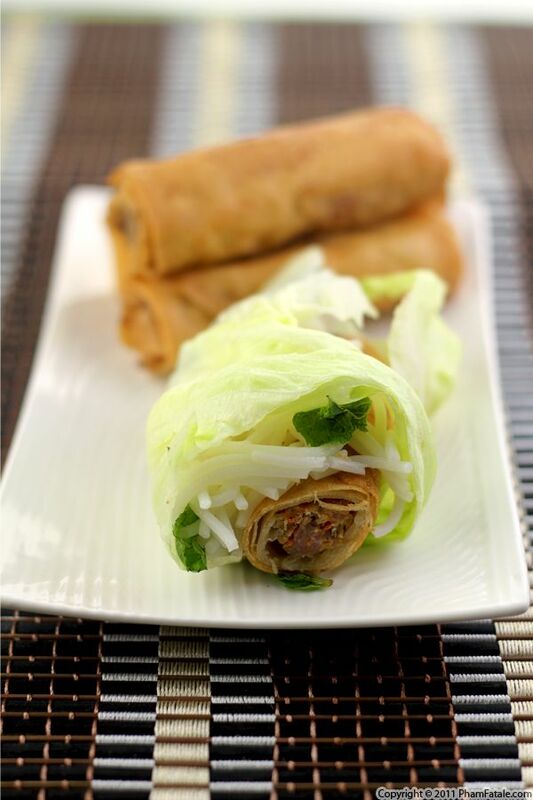 All you need to do next is deep-fry them and enjoy them wrapped in lettuce along with rice noodles. I finally made my own soy milk. I had a lot of fun squeezing the boiled, blended soy beans and collecting the liquid. I got the girls to help me out. We used the solid remnants, called okara or soy bean paste, to fill eggrolls. I'm telling you, nothing goes to waste in our home! If you don't have time to make okara (because it's quite time-consuming), you can buy it ready made in Korean markets. To make the eggrolls, I blended the soy bean paste mixture with matchstick-cut fried potatoes, wood ear mushrooms, bean thread noodles and fried tofu. It’s packed with protein and makes a great substitute for meat. 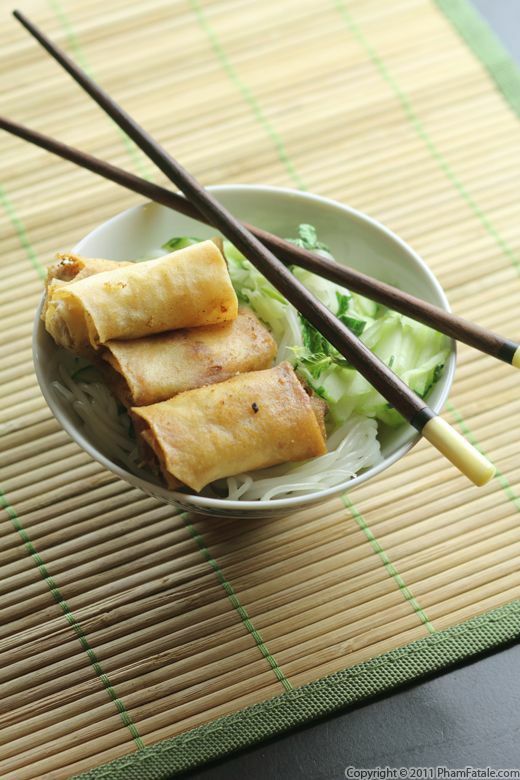 I served the eggrolls with the usual accompaniments: vermicelli rice noodles, Vietnamese herbs and shredded cucumber. You’ll love it! 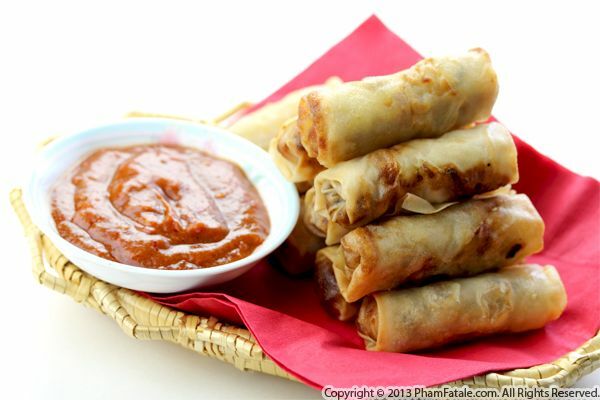 Just like the vegetarian eggroll recipe, the meat-filled version is perfect as an appetizer when you have a big party. It's also a great way to get the little ones acquainted with cooking. It's one of my earliest memories of being in the kitchen. Preparation is fairly simple and will resemble an assembly line. The filling is essentially mixed together raw and then it's on to assembling, folding and frying. My littlest sister-in-law turned five this week and we're going to have a birthday party this coming weekend. We're making the mini variety for this occasion because it's a better size for the kids and all around works great as an appetizer. We'll be making between 100 and 200 eggrolls and I guarantee that there won't be any leftovers.